If you’re like me and have a large extended family (and friends we consider family), buying expensive Christmas gifts for every single person on our list is out of the question. However, you don’t have to spend a lot of money to create an awesome holiday experience or to show the special people in your life that they’re loved. One of our favorite, affordable gifts is the gift of food: over the years my husband has baked cookies, cheesecake bars, and even made chocolate covered strawberries. I’ve been on a chocolate-dipping kick this Fall, and continuing with this easy (and delicious) idea, I decided to make Nutter Butter snowmen cookies. Since it is still football season, and my family LOVES to cheer on our favorite team, Lilu and I dressed up our snowmen with football helmets and the team colors of blue and gold. 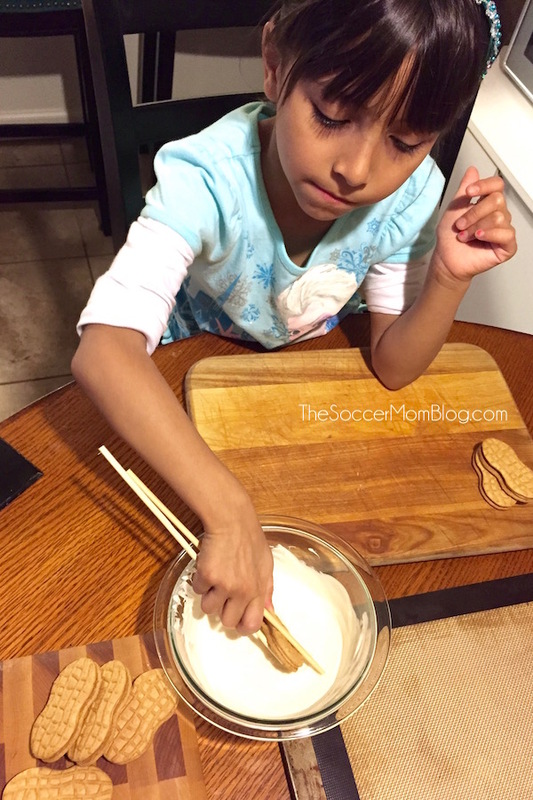 This is such an easy “recipe,” which is why it is perfect to do with the kids. 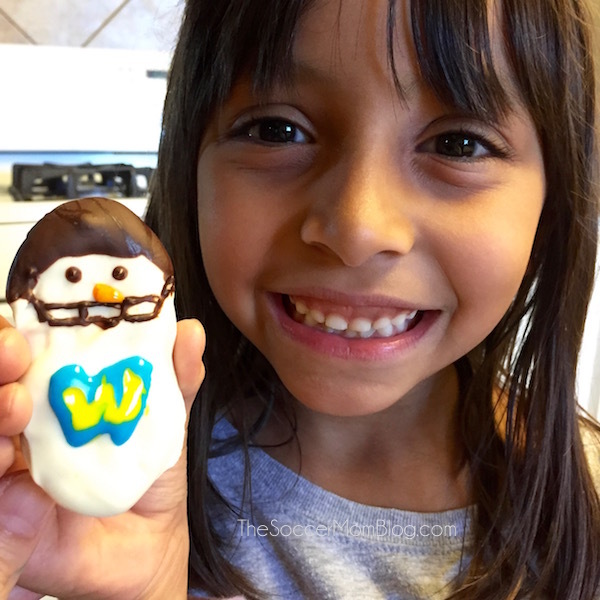 I handled all the chocolate-melting, but Lilu was more than capable of dipping and decorating on her own, and had a blast doing so! 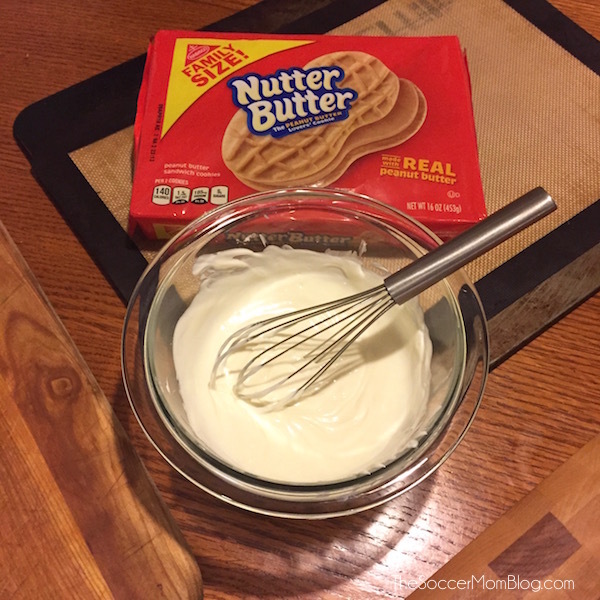 We used chopsticks to dip our Nutter Butter cookies in the melted white chocolate and flipped until they were well coated. We then set them on a silicon baking mat to harden. I then made a small bowl of melted dark chocolate. We dipped the top of the snowmen (make sure the white chocolate is dry) to make their old-school style football helmets. We used a toothpick dipped in chocolate for the detail work on the face mask. 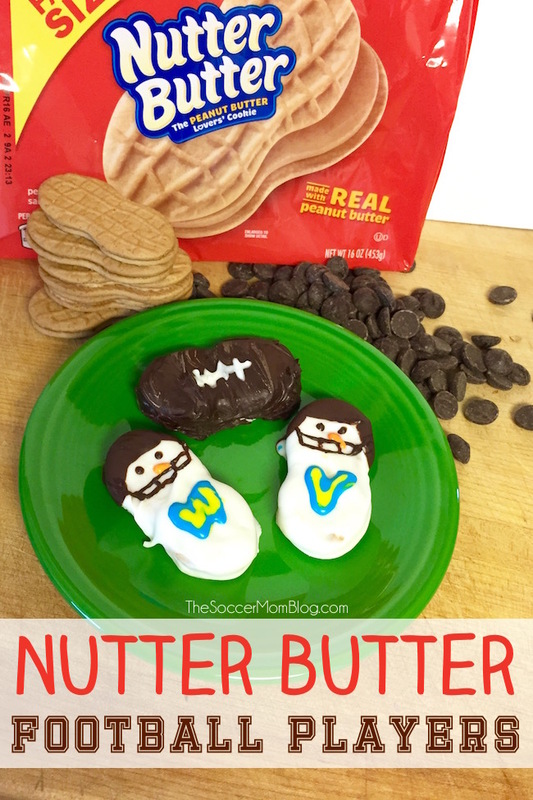 These Nutter Butter Snowmen Football Player Cookies would make the perfect holiday gift for the sports fans in your life! They would also be such a fun treat at a football game watch party. 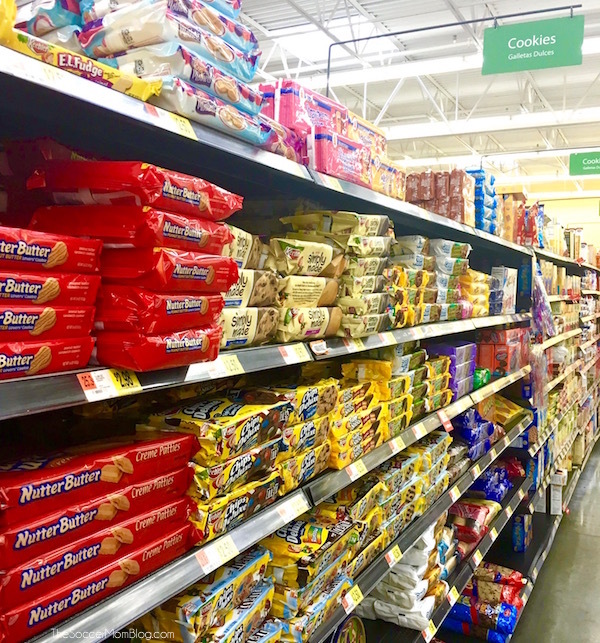 Be sure to grab THIS COUPON and head over to Walmart for limited time savings on Nutter Butter cookies! 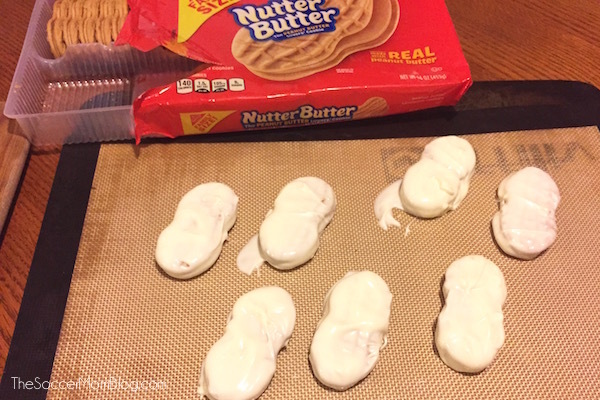 Check out more creative inspiration using Nutter Butter cookies! I’d love to hear your ideas too — share them in the comments below!